Popular entertainment is awash in blood - heroes kill, villains kill. An actor of any maturity would have killed, and have been killed, dozens of times on stage or in films. When Kenneth Branagh got the job of directing Murder On The Orient Express, he needed to give his actors a jolt, to remind them how nasty and intimate the act of murder is. "I wanted everybody in the cast to have the experience of being blindfolded and sticking a knife into some animal organs. I wanted to have everybody understand what it might be like to have sharp steel going through flesh," says the 56-year-old. He was speaking to The Straits Times last month in Sydney, while on a tour to promote the latest adaptation of the famed Agatha Christie murder mystery, first published in 1934. The film opens here tomorrow. "There are genres in which death is a game, it's simple, it's fun, whatever," he says. His worry was that the cast - which includes luminaries such as Judi Dench, Derek Jacobi, Michelle Pfeiffer, Willem Dafoe, Johnny Depp, Daisy Ridley, Penelope Cruz and Olivia Colman - would approach the material as "theatrical pantomime". That ghoulish workshop in taking a life never took place, but Branagh, who also stars as the fabled Belgian detective Hercule Poirot, had another way of gaining psychological insight: the imagination of William Shakespeare. I wanted everybody in the cast to have the experience of being blindfolded and sticking a knife into some animal organs. I wanted to have everybody understand what it might be like to have sharp steel going through flesh. Branagh's Hamlet (1996), in which he played the title character and also directed, earned four Oscar nominations. The character of Prince Hamlet, who agonises over his decision to avenge his father's assassination, taught Branagh that the idea of the cold-blooded murder is largely a myth. "One of the fundamental assertions in Hamlet is that killing a person in premeditated fashion is not easy. It's not what we are programmed for," he says. Hamlet had every reason to kill his stepfather, the usurper of the throne, but all the justification in the world falters when it comes time for the hands to do the deed. "Even if the idea of revenge is perfect and complete - an eye for an eye, a tooth for a tooth - it is still very difficult," he says. He said yes to the Christie project because he enjoys interpreting classic works, he says. As director, he has helmed several works of Shakespeare's, starting with Twelfth Night (1988), and most recently, As You Like It (2006). Texts he has adapted which already existed on film include horror drama Mary Shelley's Frankenstein (1994) and romantic fantasy Cinderella (2015). Christie's famed murder mystery received a similarly star-studded film treatment in 1974. That version, directed by Sidney Lumet, earned six Oscar nominations, with Ingrid Bergman winning in the category of Best Supporting Actress. "A piece of music I might have heard as a young person, when I hear it now, I hear different things in it. I don't feel enslaved to the new," he says. Besides, it has been a while since there has been a Christie project of this magnitude. "The cultural memory is short. When I came up, I and many other actors were compared to the great Laurence Olivier," he says, referring to the man who, for many in the post-war era, was considered the greatest of his time. Branagh played Olivier in a drama based on actress Marilyn Monroe's life, My Week With Marilyn (2011). "When I played him, I found that a whole generation of viewers didn't know who he was. He was a man who dominated acting, and 25 years after his death, people asked me, 'Who is that guy you're playing?'" When Branagh re-read Christie's novel, set on a train travelling west from Istanbul, he was struck by something he had not noticed before. "I was surprised by how emotional it made me feel. I found Michelle Pfeiffer's character in particular very affecting. She's someone who expresses what Shakespeare calls 'the poison of deep grief'." The American actress plays Caroline Hubbard, a flirtatious American widow with a secret past. A second reading of the novel revealed a layer that is a "meditation on death", a tone that screenwriter Michael Green has also sensed, and has expressed in the script, says Branagh. Albert Finney (Murder On The Orient Express, 1974), Peter Ustinov (British film Death On The Nile, 1978) and David Suchet (British television series Agatha Christie's Hercule Poirot, 1989 to 2013) are among the actors who have played the portly, mustachioed detective. Their Poirots have been genial, or even mildly comic. Branagh's Poirot, on the other hand, is downright monkish in his preference for solitude, is intensely fussy about neatness and balance, likes nice clothes, cakes, and a good book, but underneath, he is touched by sadness. "There is a melancholy there. Contact with violent crime challenges his basic belief that life can be, should be, benign." His peculiarities - namely, his compulsion for order - allows him to spot out-of-place details that escape the notice of happier, more well-adjusted people. "He carries a gift that almost makes life unbearable, but it is very useful in the detection of crime," says Branagh. There is no denying that Branagh's adaptation takes its template from this version. Sidney Lumet's take is an event movie that boasts a galaxy of stars. They include Albert Finney (photo) as the Belgian detective, Lauren Bacall, Ingrid Bergman, Sean Connery, Jacqueline Bisset and others. And, like the 1974 adaptation, which picked up six Oscar nominations, the movie is a prestige project with Academy Award ambitions. 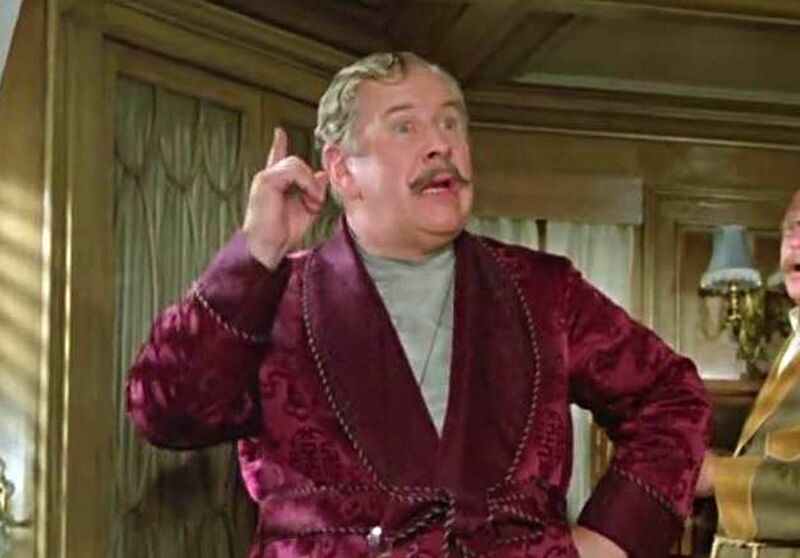 While Albert Finney may have been the Poirot in the most star-studded and Oscar-nominated version, Peter Ustinov (photo) takes the prize for playing Poirot the most number of times. Nile would be the first and most fondly remembered Poirot movie featuring Ustinov. He would play the dapper detective five more times, the last being Appointment With Death (1988). Likes to declare that he is the world's greatest detective? Check. Snappy dresser? Check. Ludicrous French accent? Check. Outsized moustache? Check. 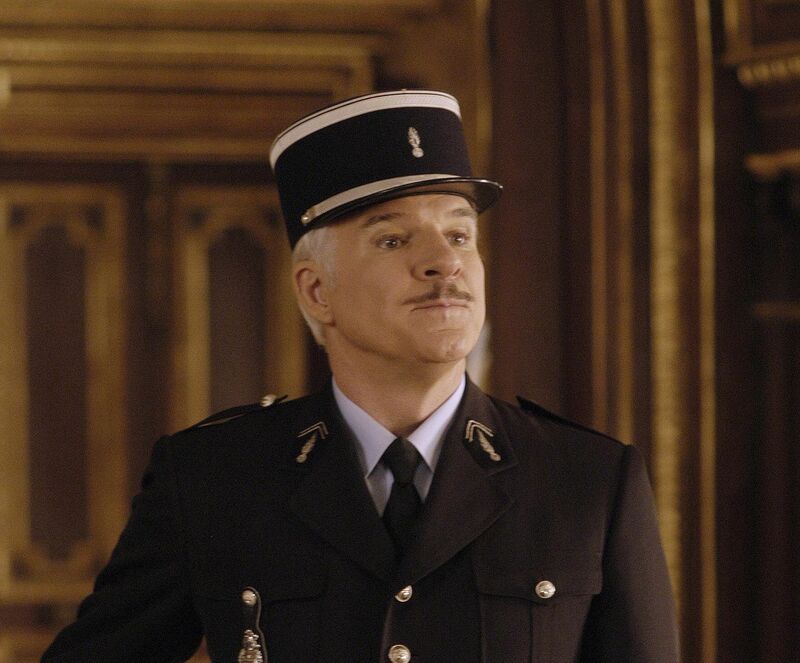 Inspector Jacques Clouseau is Poirot, but taken to ridiculous levels. He is Poirot's idiot cousin, and an obvious parody. British comedian Peter Sellers (top, with Lesley-Anne Down) is the actor most closely associated with the character, but in recent years, American comic Steve Martin (above) has taken over.